A5.com is proud to announce the completion of our SSAE16 SOC2, Type2 audit for both of our data centers in Bloomington and Peoria, as well as the completion of our FISMA audit for both sites. The SSAE16 and FISMA standards represent important industry validation by independent 3rd parties of A5′s facilities, processes and policies and illustrate the level of sophistication and enterprise-grade capabilities we provide our clients every day. This means you can have complete confidence that your critical data and infrastructure are in facilities which employ stringent internal business processes and IT controls for the services provided leading to better security, up time and performance for your critical systems. 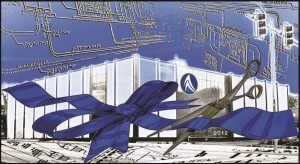 As of July 2013, A5.com’s newest data center at 303 E. Washington in Bloomington has two more carriers deployed into the site expanding the number of carriers to five (5). The arrival of US Signal and CIRBN into the data center provides additional fiber paths, capacity and carrier diversity for clients at the A5/Bloomington facility. The updated list of carriers includes Frontier Communications, Stratus Networks, CCG, US Signal and CIRBN. In addition to these carriers, a few more may be coming online in the coming months. Stay tuned! and if you have a particular carrier need, please let us know. 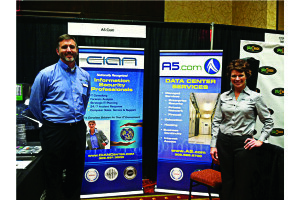 McLean County Chamber of Commerce will be conducting a Ribbon Cutting Ceremony for A5.com’s newest Tier III data center in Bloomington, IL on June 18, 2013 at 11:00 am. Please join us at 303 E Washington St for our public Grand Opening. Private tours will be given after the Ribbon Cutting Ceremony. Due to the nature of our business and security measures in place these tours will need to be set up ahead of time. Please contact Christine Bare at 309-691-3000 to set up your tour or for more information. The renovation of this old building will increase the revenue and attraction to the Bloomington downtown area dubbed a Historically Underutilized Business (HUB) zone. Steve (who also owns CIAN Center, OASYS, and A5 Power Solutions) has made a significant investment in the project. City officials and leaders are taking notice. Bloomington’s Economic Development Coordinator, Justine Robinson says the City supports the initiative: “The City of Bloomington is delighted to partner with A5.com on the improvement of their newest location at 303 East Washington Street, the former home of Illinois HealthCare, in Downtown Bloomington. Given A5’s robust investment in a highly visible and vacant site, especially the devotion of more than $2 million in capital towards the initial phase of the expansion, the City is pleased to leverage the resources found within the 50/50 program in order to maximize the property’s exterior enhancements; this includes the replacement of dilapidated sidewalk and parkway trees on the four sides immediately surrounding the building. As the City strives to maintain positive working relationships with local enterprises, partnerships such as this serve to make Bloomington a better place to do business. Congratulations and thank you to A5 for engaging in this incredible venture and investing in our great City!” To learn more about A5.com’s data centers please contact Eric Fisher, Director of Data Center Operations, at 309-999-2700. A5 has started our SSAE 16 SOC2 audit effective 3/4/13 for our data centers in Bloomington and Peoria Illinois. We’ve engaged a nationally-recognized firm to provide us this service and look forward to sharing the results with our clientele. The SSAE 16 audit process verifies and validates the process controls, policies and physical environment controls in place for service organizations like A5. This distinction is critical in many industries that handle sensitive data and is a valuable validation for our efforts in providing world-class capabilities. 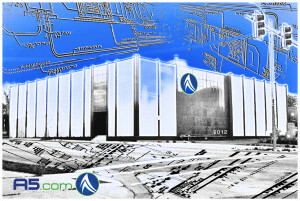 New Bloomington, IL Datacenter Goes Live! After much hard work and dedication by all the team members, A5.com has gone live in our new Tier III datacenter facility in downtown Bloomington Illinois! We want to thank all the contractors and engineers for their help in making this vision happen and look forward to growing our business and helping our community from this new facility for years to come! We’d love to show you our new home and are available to provide details and options to solve your issues. Contact Eric Fisher or Christine Bare (sales@a5.com) to find out more. 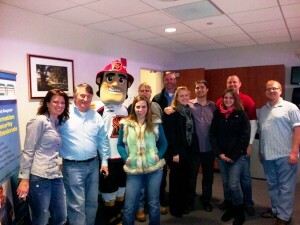 with a social hour that consisted of hors d’oeuvres and cocktails and followed with a Bloomington Blaze Hockey Game. Spirits were high, conversation was great, and the food and cocktails were endless.